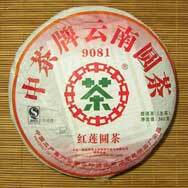 Hong Lian Yuan Bing Cha is one of the seven tea cakes in 9081 Sheng Shi Zhong Cha (9081 Prosperous Times) tea cake series. 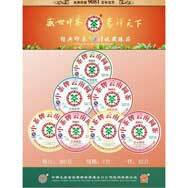 This series is Yunnan Tea Import and Export Co. Ltd’s year 2007 flagship product and was compressed using high quality tea leaves from Xi Shuang Banna area. 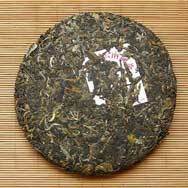 Nice puer! Even though it’s very young it tastes good. A bit strong and bitter, but with a broad and deep taste, and a lovely sweetness. I think this cake will become really great in a few years. Picked up the Tong of this entire series (includes all of the 9081 cakes shown, which is the same tea in 7 different wrappers). 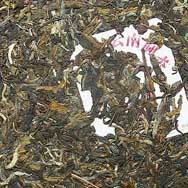 Good quality bing cha with a mix of large leaves, buds and stems. 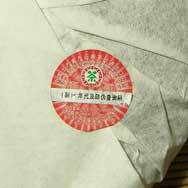 Very aromatic and still quite (expectedly) smoky. Brews up with a bitter edge unless you’re extremely careful on steeping for a short period, but with a lingering sweetness on the finish. The smokiness and bitterness should go away in a few years; this one’s worth aging and should turn into a fine aged sheng in a few years! Fresh Smell fills a whole room when I open package. Very nicely strength feeling come to my mind. A few years late, this will be one of my pleasure surly.